We are continuing with the size 5 project, and Sarvi is back with us. 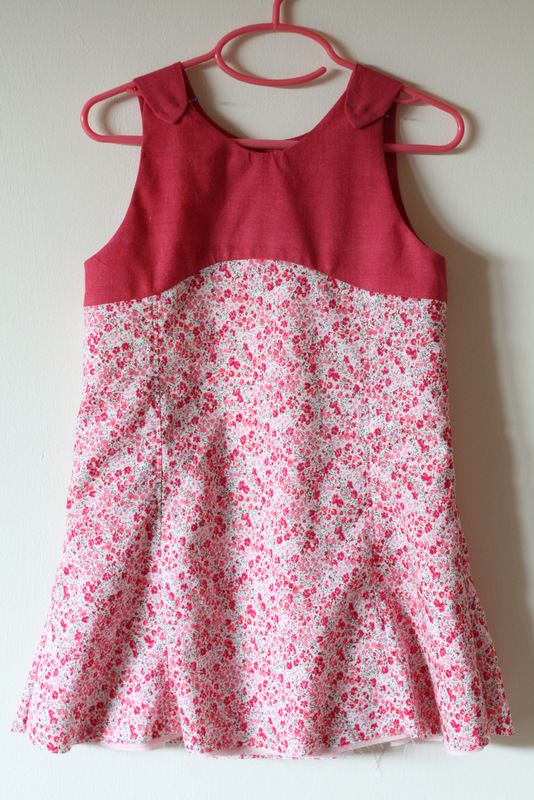 This morning she shared a Tea Party round-up, and now she’s kicking off a Tea Party Dress sew-along. Today is day one. Be sure to stop by tomorrow for day two. 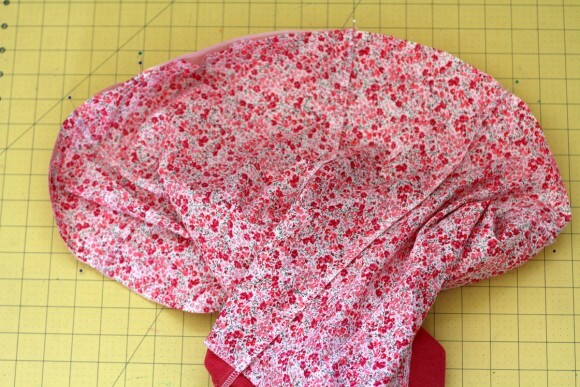 The Tea Party Dress is pretty straightforward in its construction. 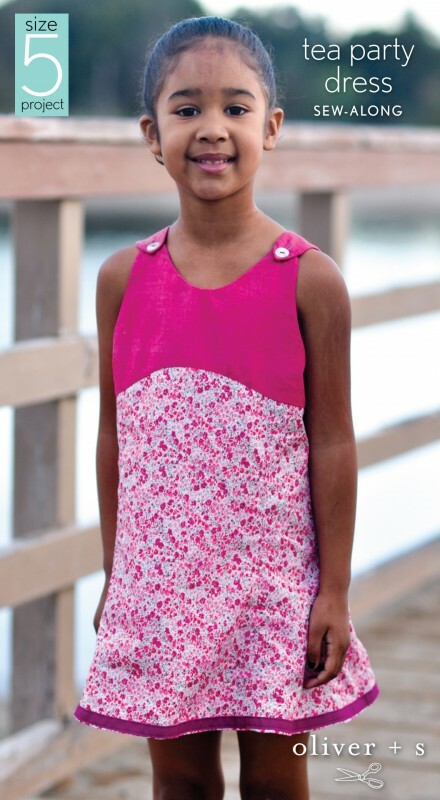 Unlike some of the harder patterns that are a bit trickier to understand (but easy to sew), the Tea Party is easy to understand, but that curved bodice can be a little tricky to sew, especially in the smallest sizes. I’m going to leave you in Liesl’s capable hands for most of the construction and focus instead on a few tweaks I like to implement. 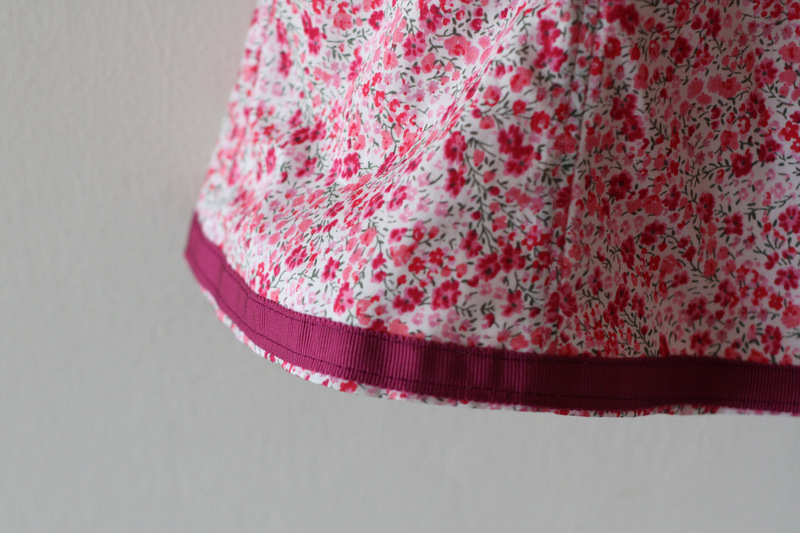 First, I find it a little tricky to maintain perfect accuracy across all the seams, and tiny mistakes can add up (there are six seams in the skirt). 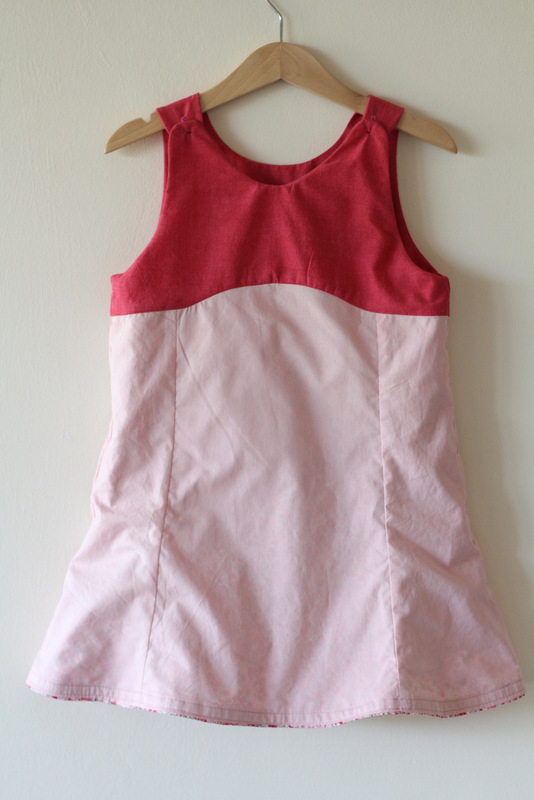 I like to borrow this bit of the construction from the doll’s version of this dress in Little Things To Sew. I find it a bit easier to do work in batches, so I’ll pin everything I can sew in one go, and then finish and press all those seams. I want to make my dress fully lined since I’m using a lightweight cotton lawn print that can be a bit sheer, so I’ll cut a second set of the skirt pieces from a plain lawn. First, I’ll assemble the front and back skirts with their corresponding side panels. I topstitched mine. Next, I’ll tackle the curved seam between the skirt and bodice. 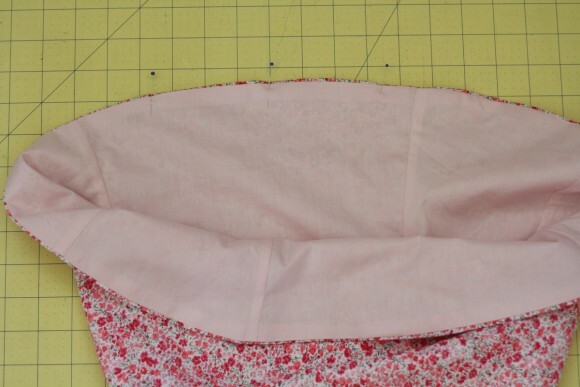 When sewing opposing curves, I find I’m tempted to use few pins, if any, so I have a lot of freedom to shift the fabric around to make the edges meet, but since the fabric will want to stretch, it’s better to use plenty. In this video, you’ll see me doing a few different things as I sew (it’s in real time, so no need to watch the whole thing if you’re already comfortable with this bit). First, I’m stitching a bit slowly, so I can assess each stitch. If I see the fabric bunching on top, I can stop with the needle down and shift the excess back. If I can feel it bunch on the lower layer, I can reach under and move just that layer back. I can also hold the fabric both behind and in front of the needle, holding a small section taut as it moves under the foot (but not fighting the feed dogs or tugging the fabric against the needle). I preferred not to topstitch the bodice. 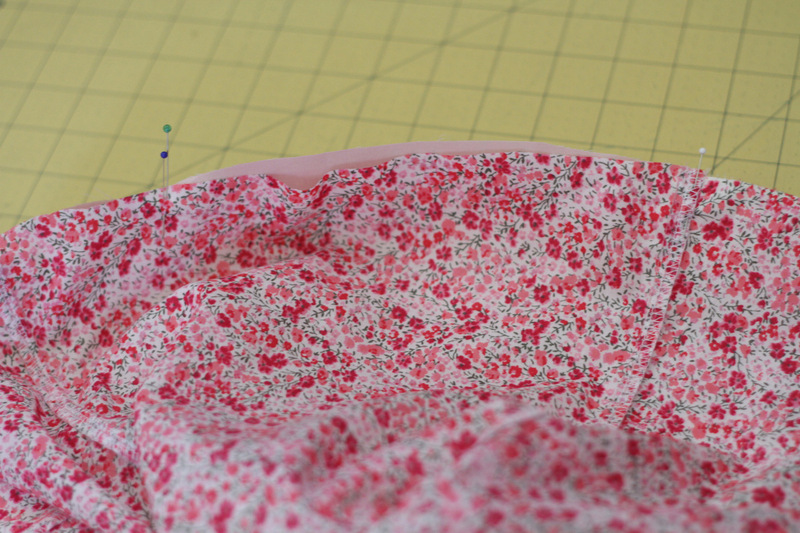 Our last step for today will be to stitch the side seams. 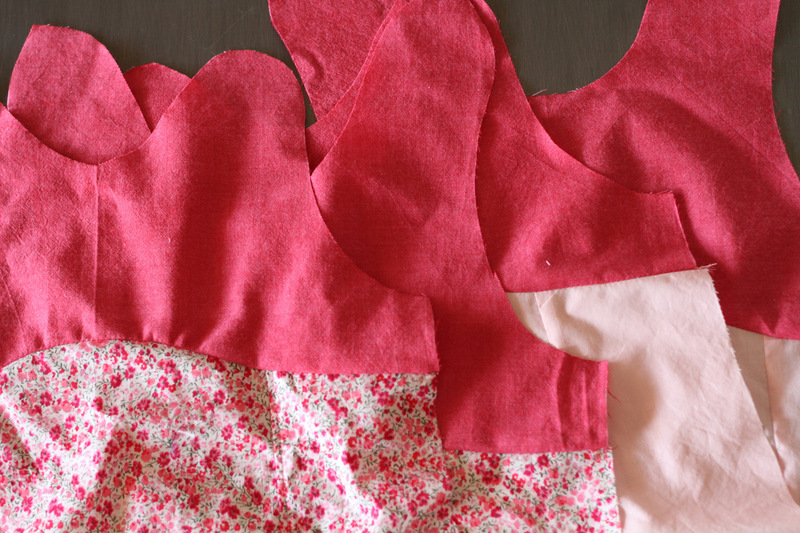 Pin the outer front to outer back, right sides together, and the same with the lining. 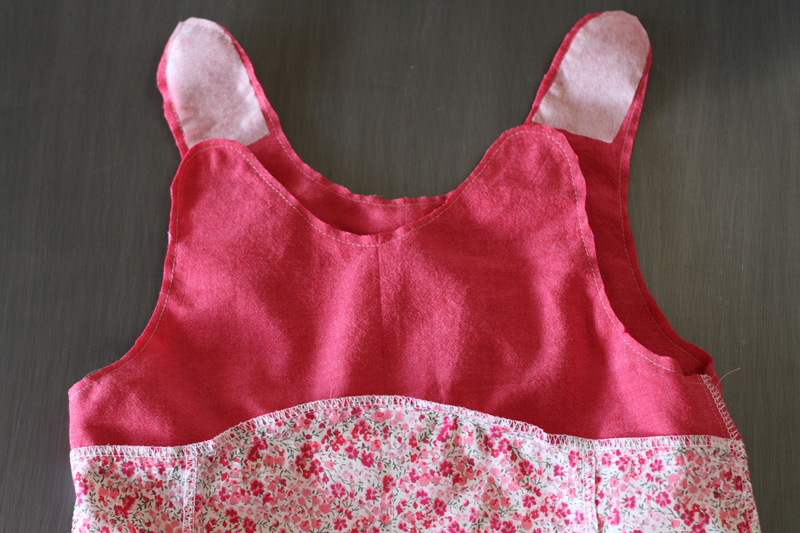 Finish and press seams. Done for today, see you tomorrow! What a helpful video! 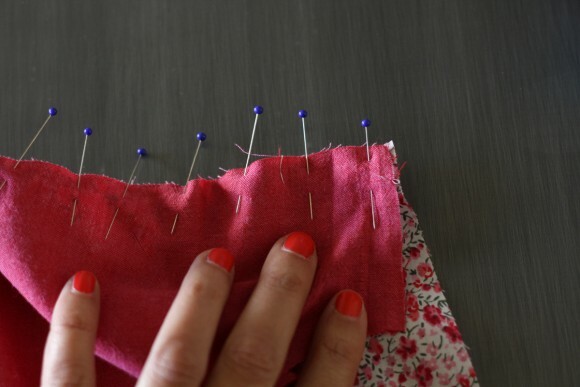 I find it fascinating watching others sew (does that make me wierd?) 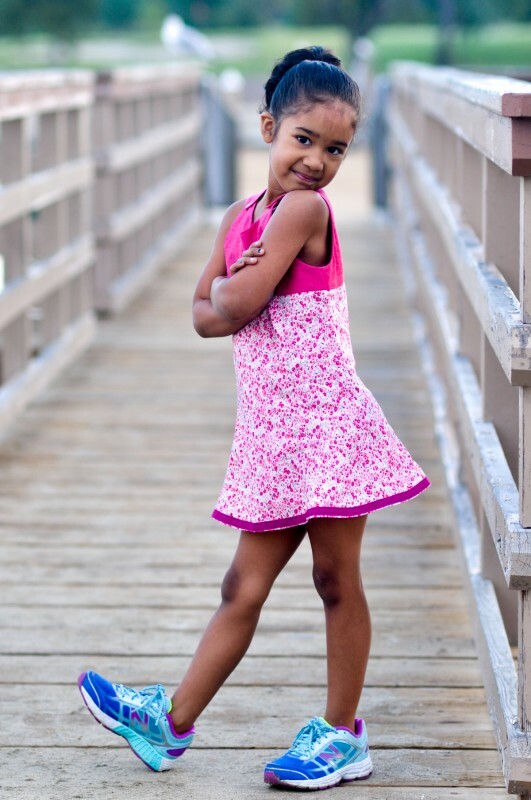 and J looks gorgeous in the dress. It is fun to see you go out of your normal color zone :). Haha, Brittney, you know me very well 🙂 And no, it’s not weird at all, I find it strangely interesting too! It’s kind of soothing, in a way?